Home » Is $725 Too Much For A Putter? 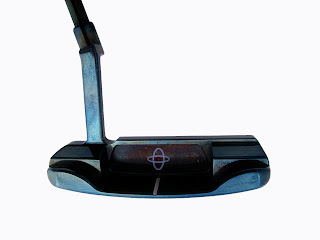 Is $725 Too Much For A Putter? Usually in the off season here in Canada I like to tinker with my clubs, sometimes picking up a new driver, maybe a hybrid or even a extra wedge. The winter is long so buying and selling golf clubs passes the time between the end of the season and when the dreaded snow melts and we can get back out there on the course. I presently have no putter in the bag and I've been doing a lot of testing of various putters which is always fun. For me putting is all about feel and how the the putter looks when you address the ball. I've mainly been a mallet guy but who knows what I'll be gaming come Spring time. I get copious amounts of golf emails everyday but lately the ones dealing with putters seem to catch my eye more. 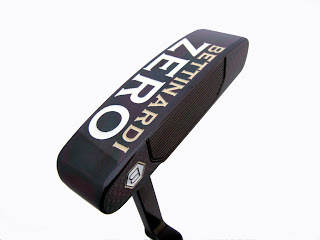 Take for instance the email from Bettinardi Ltd introducing the BB ZERO Bettinardi's latest head design. Released last week at the PGA Show in Orlando.These lads go for $725 each and are already sold out. Now I might pay $725 for some hair vitamins that guarantee a full Afro on my Mark Messier like head but paying $725 for a putter seems like a huge investment especially if you don't get to roll the damn thing first. Just my opinion. It had better be able to see the tracking line like they have on The Golf Channel. I'd rather buy a new set of clubs. That seems like an awful lot of money for a putter. That's more then I paid for all of my clubs.